As a financial services firm we are committed to providing professional, friendly, and personal attention to our clients' needs.We believe that while markets fluctuate, good advice should remain. 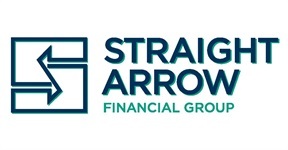 It is our intent to act as advisors for all aspects of our clients' financial lives, helping answer the hard financial questions, plan for the future, and oversee investments and insurance portfolios. To our clients, we would like to thank you for your confidence and trust in us as well as the referrals that we receive. We truly believe your willingness to recommend us to your friends and loved ones is the greatest compliment that you can give. We are honored and strive to do our very best to deserve the trust you have shown us. If this is your first visit to our website, we invite you to look around. We are hopeful you will find it to be a useful resource. It has insightful articles, financial calculators and research tools that can be helpful as you manage your financial future. If you have any questions regarding these resources, please submit your questions online or give us a call. Be sure to bookmark this site and check back frequently to review timely market related articles.